Travis Tritt keeps his country music rocking! 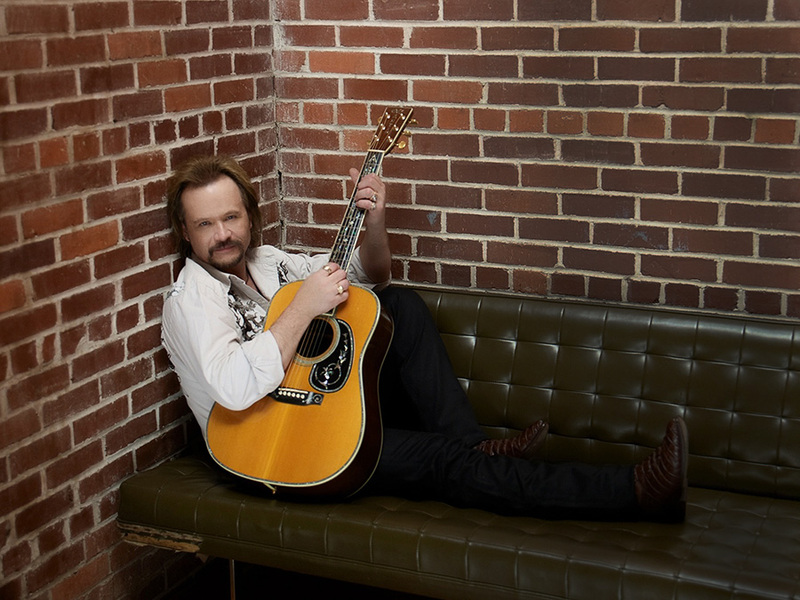 It has been 30 years since Travis Tritt first brought his unique voice to country music fans. Influenced by Southern rock, his songs reached the hearts of fans and brought them out in droves for his concerts. He signed with Warner Brothers in 1989 and still hasn’t stopped, and neither have his fans. The Marietta, Georgia, native certainly has stayed true to his roots. He’s a big University of Georgia Bulldogs fan and has a home in the countryside not far from Atlanta. Along with Southern rock, Travis’ music was strongly influenced by blues and gospel music. Travis will bring his act to The Villages at 7pm Feb. 8 at the Sharon L. Morse Performing Arts Center in Spanish Springs Town Square. The audience may want to sing to Travis because his 55th birthday will be Feb. 9, the day after the show. Travis also has a Lake County connection: his wife, the former Theresa Nelson, was only the second Miss Leesburg in the scholarship pageant. The couple have three children. Tyler, their daughter, recorded the duet “Sometimes Love Just Ain’t Enough” with her dad and has toured with him. At 20, she’s touring and establishing her own career. Sons Tristan, 19, and Tarian, 15 (the only University of Florida Gators fan in the family), are working on school and other interests. Elaine Welch Wilson, who grew up in Leesburg and graduated from Leesburg High School in 1984, says she enjoys knowing Theresa is a hometown girl. Some of Travis’ more notable appearances include performing at the 1996 Summer Olympics, two Super Bowl halftime shows, a World Series game, the opening of the Georgia Dome, and the final Braves baseball game at Atlanta-Fulton County Stadium. He also did an interview for “The Big Interview with Dan Rather,” which will air on AXS TV in 2019. Tyler posted on Twitter that it was one of the most in-depth interviews the country singer has ever done. The award-winning singer has seven albums certified platinum or higher, two Grammys and three Country Music Association awards, and $30 million in career album sales. Travis was a hit and thoroughly enjoyed being a judge on “Real Country,” a talent-search show on USA Network. He worked with country award-winners and judges Shania Twain and Jake Owen. Like “American Idol,” the show picks emerging solo artists, duos, and groups for performances in showcases that shine the spotlight on the valued traditions in country music. The seven-week show ended with Jaida Dreyer as the winner in its inaugural season.